Hot on the heels of the new Tiempo, Hypervenom and Mercurial colourways and updates, Nike have refreshed the CTR360 III in a striking Atomic Orange / White / Silver combo that hit pitches this weekend. 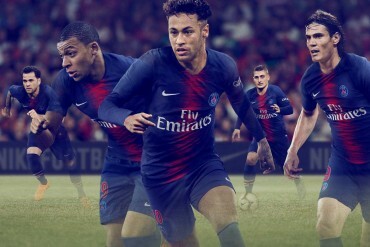 Now, shockingly, the oldest of Nike’s boots the Maestri still looks every bit at home in Nike’s ultra-modern line-up of soccer cleats in this latest update. 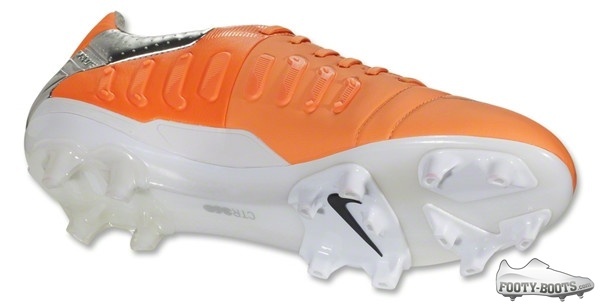 Similar to the popular Neo Lime colourway that dominated pitches over the Summer, the CTR360 III – Atomic Orange / White / Silver' uses two tones of it’s base colour with white and black detailing and soleplate to make the boot really ‘pop’ on the pitch. Nike have also switched in the Chrome Silver tongue that has become the signature of this Winter’s colourways, with the similarly-style Tiempo Legend V at the heart of the group. This latest CTR360 III colourway was at the heart of some memorable moments in the Premier League this weekend. Chief among them was Ross Barkley putting away an inch-perfect free-kick in his pair to put Everton in the top four for Christmas. Co-incidentally, Barkley was one of several Everton players who took to Twitter to show off his new football boots last week. Tech-wise, you know the drill by now; focusing on premium control and helping players buy space where there seems to be none, the Nike CTR360 III boasts a Kangalite 2.0 upper for a natural touch with reduced water uptake, enhanced by a 3D instep passing and control zone. 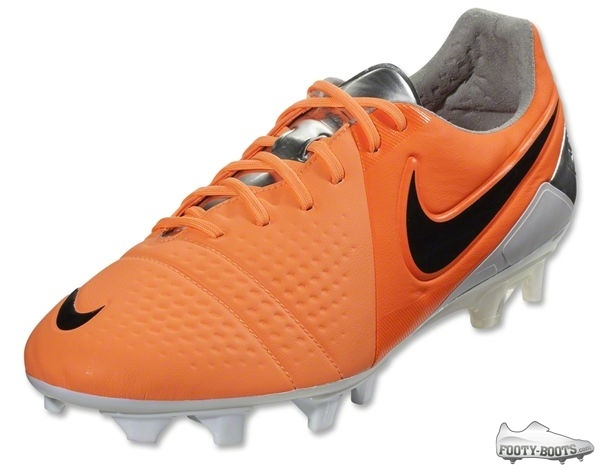 In stores now, you can get the CTR360 III – Atomic Orange / White / Silver' from the Footy-Boots.com store from today. how to taking care of ctr360 cleats?